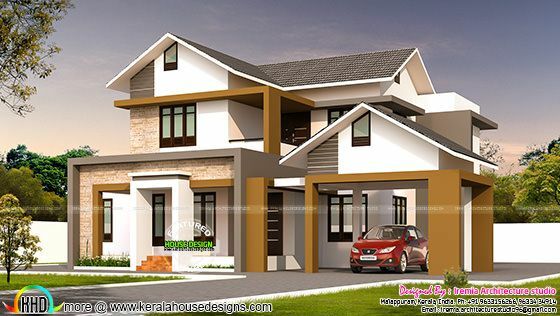 Introducing a new architectural firm for KHD viewers, Iremia Architecture studio from Malappuram, Kerala. Total area of this sloping roof house is 1900 square feet (177 Square Meter) (211 Square Yards). 0 comments on "Modern house by Iremia Architecture studio"